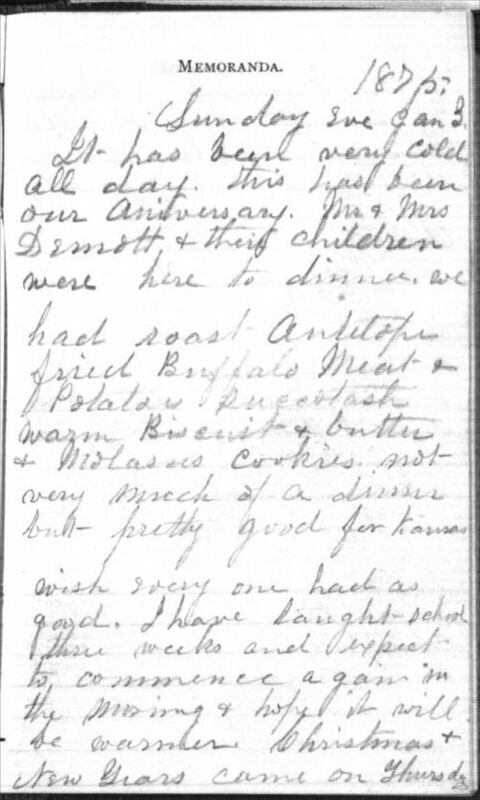 These entries from the journal of Susan Bixby Dimond describe her experiences as a settler in Osborne County, focusing primarily on her position as a schoolteacher and the harsh winter weather. Also, Dimond states that her family is surviving in Kansas but that "at present I advise all to keep away." Dimond sent her journals to an unidentified friend in order to maintain contact; this may explain the journal's conversational tone. This is one of the few sources selected for this standard that discusses the suffering and trials of surviving harsh winter storms on the plains. Also, these entries are brief enough for student use.